Today on the blog we are taking a look at a new brand to my life, Madison Makeup. Unfortunately due to work I missed the official launch of this new brand in what looked like an out of this world event in Dublin's City Hall at the end of last year. But after Christmas I was sent two of the new products from the range to try out and review for you all. 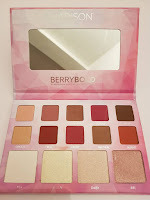 This is an essential eyeshadow & highlighter collection with 14 shades in light , neutral & berry tones. This palette is really pretty. I also have to say that the size of the palette is very good. 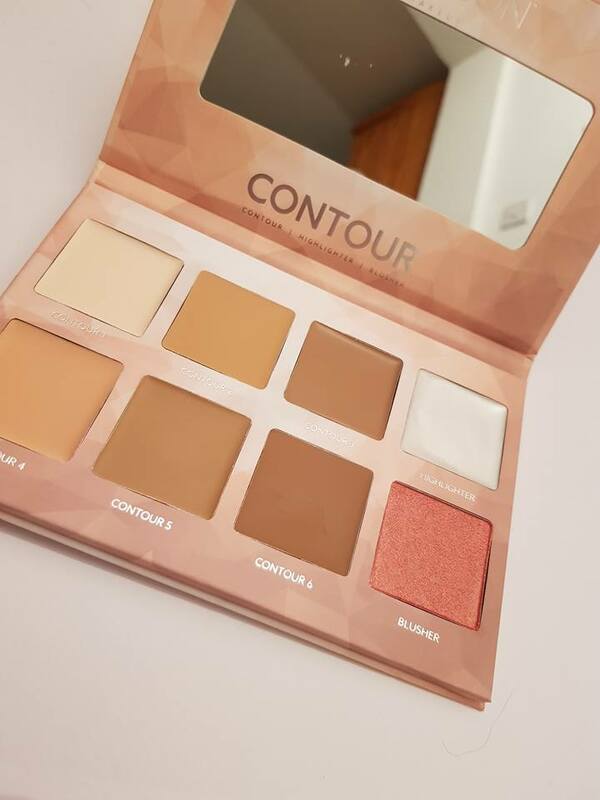 It's certainly big enough for the pans to work out at a brilliant cost of only €2 per eye shadow or the four highlighters at only €5 each if they were to be in a palette separately. 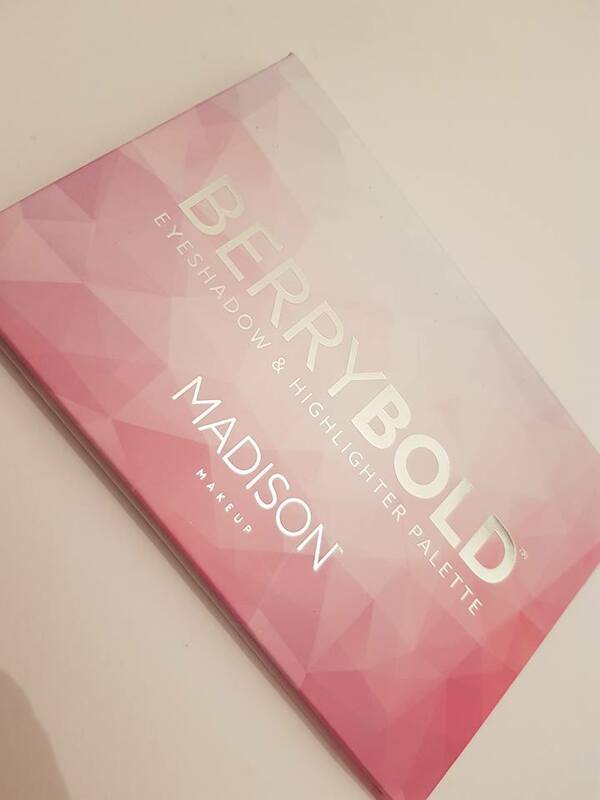 The tones in the berry bold palette are exactly the type of colours I like to work with. Oranges and Burgundy's are my go to shade for my blue eyes especially when I have tan on, I love to make my blue eyes pop as much as possible. I also think that the shades can be used as a stand alone colour for a quick day look. I like to use the shade burnt when I want this look and sometimes I take it slightly browner with neutral. 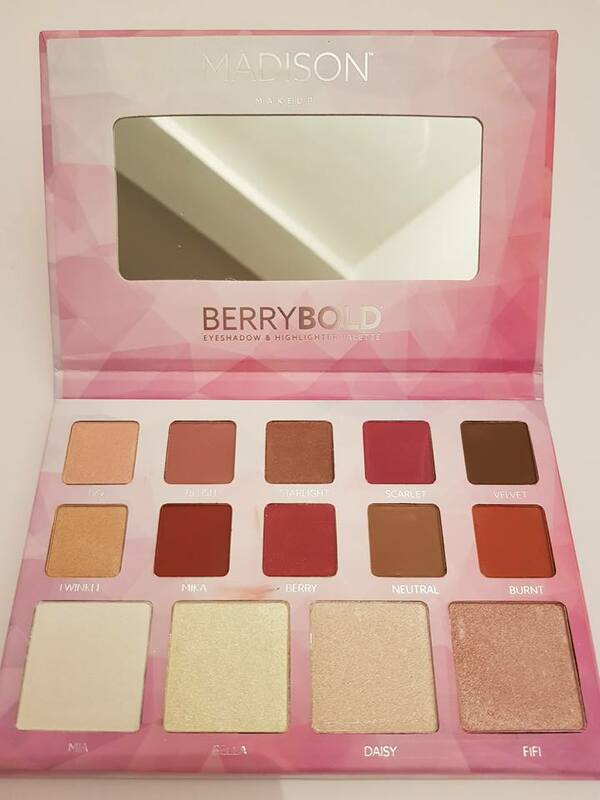 My absolute favourite shade from the palette though has to be berry itself I just love it! The highlighters in this palette are not for the faint hearted, or I advise you to use them sparingly. The glow is unreal. I've been using them alone or sweeping my brush across them all. I find when I have tan on, they look even better on my skin. 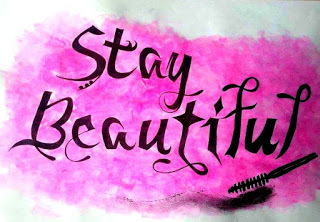 Although, doesn't that apply to every aspect of my life? Always better with a bit of tan on!! Daisy is my favourite highlighter shade from the palette and the one I used the most, it's not the lightest but I love the gold hue it leaves on my skin. I think if you are sallow skinned then fifi would be absolutely stunning on! Before we go any further, this is a disclaimer, I am not really into cream contouring. 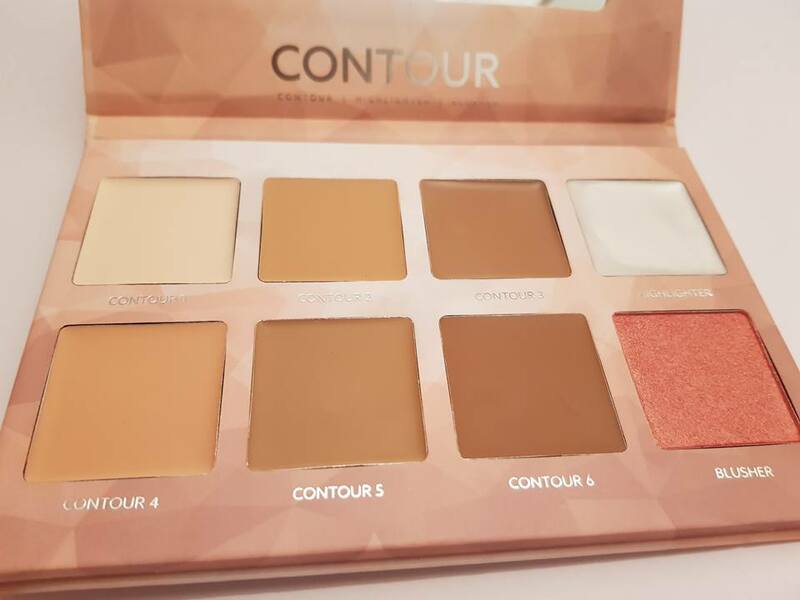 I have to be honest, I just panic when it comes to adding cream contour to my face. I always worry that I look really muddy and then if I do make a mistake, I'm trying to add more foundation ending up feeling like I've a weeks worth of product on my one night face! That being said, I do think this palette would make a brilliant gift for someone who is into cream contouring or for yourself if you're growing in your cream contouring confidence. The blush shade takes my breath away the beautiful rose gold shade is stunning and I am OK with using the cream highlighter, again be light handed, it is creamy but you always want to be careful about the placement of a cream highlighter. 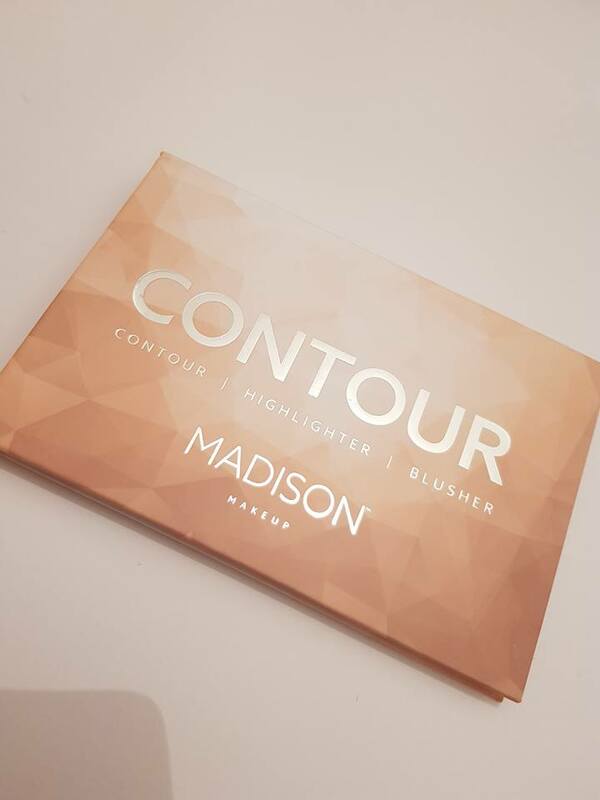 In the description of the contour palette on the Madison Makeup website, it's says that you can blend the shade to custom colour your contour shade... I will admit I tried this but it didn't work too well on me. I clearly thought my foundation was darker on my skin but I made the contour too dark so started again. Little by little I could see myself starting to add some of the cream contours for a night time look but at the moment, I like to use them more as a concealer. Carving out my brows using Contour 1 or sometimes adding a little of 4 as a concealer, it's deffo something if you're into cream contouring you'd love. I hope you found this post helpful in deciding if you'd like to try out Madison makeup products. Being tailor made to the young women in Ireland, I think this brand will do very well. 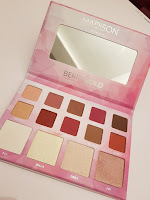 I think the price point is smart and this is reflected also in the packaging, it's young and funky and totally appeals to the young makeup lovers of Ireland. 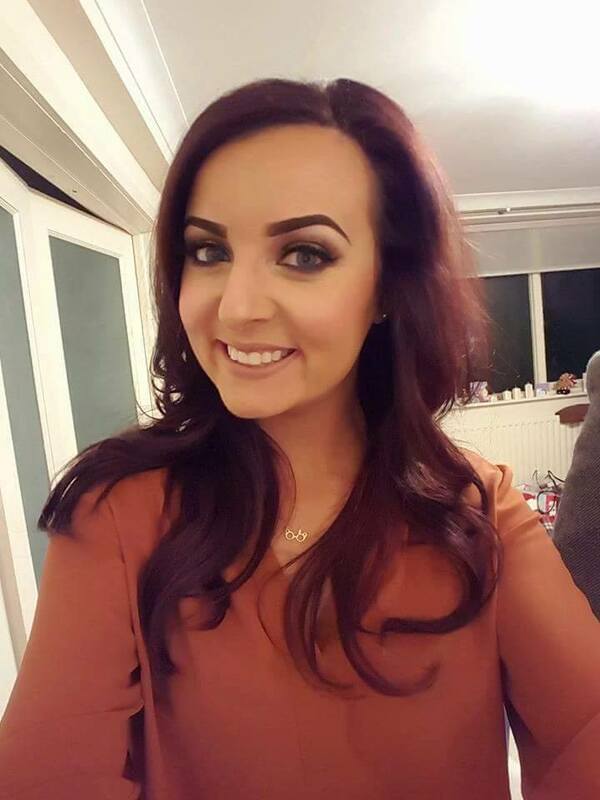 Zinc Hair & Beauty- My Hair Journey! Tried & Tested- Some Yeah! Some Meh!